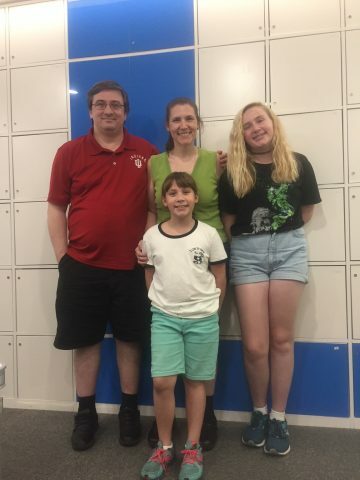 Family trip in China, with the Chabowski’s – We found LTL through a web search while looking for a Mandarin Chinese language learning experience that would allow both our daughters (ages 8 and 12) the opportunity to participate. We had found another language-only study option for our older daughter prior to discovering LTL, but we were having trouble finding something to engage our younger daughter. We had previously seen a positive reference to LTL in a blog concerning the staff and classes so when we realized they would accept younger students, we investigated further and were very pleased with what we found. Once we found the summer camp option available through the LTL website, we started taking the next steps toward figuring out if it was the right choice for us. We were very impressed with the focus on making the overall experience as easy and stress-free as possible while offering a high quality Mandarin Chinese learning environment. We also really liked the fact that the summer camp offered a comprehensive experience since it includes 4 hours of language study per day with an excursion everyday Monday through Saturday. Having both language study and excursions offers the opportunity to see significant sites while using what the students had learned. It also provided a community to share in the experiences and help with the logistics of reaching those different sites. Coming from the United States, we had many questions and concerns about developing a valuable plan for our daughters. Even though they had studied Chinese before coming to Beijing, we were hoping that the experiences offered by LTL would particularly increase their confidence and conversation skills. As such, we planned five weeks of summer camp lessons for both of our daughters and we included 35 hours of additional one-on-one lessons for our older daughter to prepare her for the HSK 3 exam. How was the class organisation at LTL? The placement of our daughters in skill- and age-appropriate classes was phenomenal. Angela was very professional in her approach. She placed our 12 year old daughter in a class that was with adult students, but the coursework was much more aligned with her skills. This was critical in her preparation for the HSK 3 exam as it pushed our daughter to improve in such a focused and motivated class. The homework was useful in giving her practice and the group classes sparked her interest in day-to-day conversation. The one-on-one classes were quite useful for our older daughter, as well. By giving her Chinese texts to read and Chinese movies to watch, some of the homework given in this aspect of her studies helped her develop fluidity in the language. Concerning our younger daughter, the teachers were very patient and understanding of her learning style and attention span. The teachers have worked closely with her on developing functional Chinese and even relocated classes to some of the local restaurants to allow her opportunities to practice in real-life settings. Mixing up the locations, approaches, and materials (books, songs, and online videos and games) has been very good for engaging a younger student with a shorter attention span. How would you rate their improvement in their Chinese proficiency? We have noticed marked improvement in their enthusiasm and comfort using the language. As a capstone experience, we organized a homestay for our older daughter during the last week of our time in Beijing. While meeting the host family in their home, we were impressed to see the improvement in our older daughter’s conversation skills. This is an obvious testament to the materials covered and opportunities provided throughout her time in the language program at LTL. Did you feel safe as a family in China? One of our primary concerns prior to coming to China was our daughters’ safety. We consider ourselves to be very protective parents even by US standards. Given our older daughter’s fair complexion and hair as well as her height, we were concerned that she may be even more at risk of being targeted for crime or unwanted attention. That has not been the case at all. In fact, our younger daughter has garnered more attention as the locals seem to have not seen many young foreign children. Both of our girls have been politely asked repeatedly to be in photos with Beijingers during our stay here. Another serious safety concern for us was around the expectation that our twelve-year-old daughter would need to travel alone to and from her host family during her 1 week homestay. We were not very comfortable with this idea before arriving. We actually intended to meet her each day and accompany her between her homestay to the school to ensure her safety. What we found instead during our first five weeks was that there are cameras everywhere in the subways and on the buses as deterrents against crime. 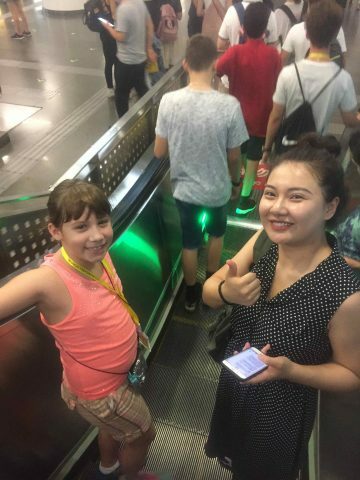 After some initial training on navigating the subway system in Beijing, she does not have any trouble figuring her way around. 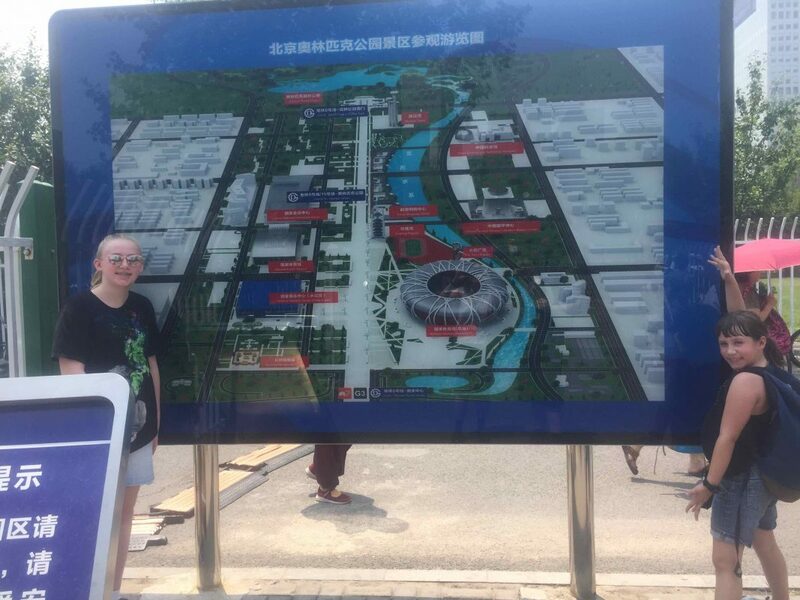 We were able to ease into the idea of her traveling unsupervised by sending her on the camp excursions and allowing her to come back to LTL alone but with frequent check ins via a smart phone purchased for use while in Beijing. Additionally, the LTL staff are available as a safety net if any issues come up. 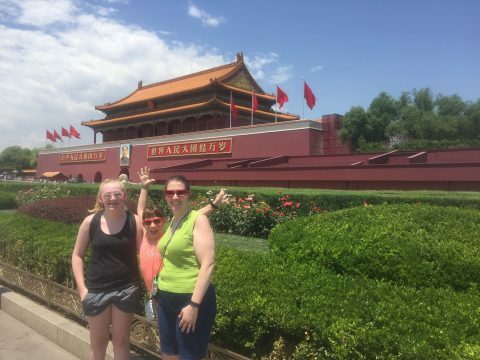 Given our initial skepticism about the assurances of safety in Beijing, we have been very pleasantly surprised that it really has proven to be a safe environment where we are comfortable allowing our 12 year old daughter travel unchaperoned around the city. This is a life skill we are not yet comfortable allowing her to develop in the United States. How about Beijing as a City? The excursions provided give students a preliminary understanding of Beijing culture, as well. A variety of trips and group activities both during the week and on Saturdays showcase Beijing, its environment, and other nearby sites. Organizing these trips on our own would have been much more difficult and tedious. Having LTL handle this part made our time in China that much easier and more convenient. What about the staff at LTL, do they provide your family with the support needed? The LTL staff is very oriented toward customer service. They are very knowledgeable and more than happy to answer our concerns and questions about finding something or navigating the complexities of Chinese life. Two examples of this that we experienced relate to the Shanghai portion of the end of our time in China. Angelina went out of her way to help us buy tickets on the bullet train and had them delivered to the school for our convenience. In addition, when it became evident that we would not be able to reach the customer service representatives at Disneyland Shanghai using English, Angelina stepped in and made sure our plans were completed appropriately. They have a keen understanding of Beijing as, when our younger daughter became ill, Irene recommended a Western-focused hospital to take her to. In addition, they have been sensitive and responsive to our concerns – even spending time on WeChat on a Sunday morning to address our worries! This level of customer service was pleasantly unexpected. The pre-arrival communications with the sales and other staff was exceptional. Alice was very responsive to our concerns and offered a considerable level of assistance for visa support. In addition, she worked with our special requests concerning the schedule of one-on-one classes for our older daughter. 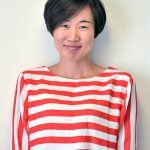 Her enthusiasm and ability to answer our nuanced questions helped instill in us a confidence that LTL was a top-rate, Western-style education experience. Angela was flexible with us concerning the placement tests for our daughters and, when Skype failed, we opted for conducting the test by telephone instead. She was even able to arrange the one-on-one language classes outside of the summer camp schedule so that our older daughter did not have to sacrifice any of the camp excursions for her personalized lessons. Angelina organized and sent us the relevant information for pickup at the airport, which went seamlessly for us. In all, from our discussions with the sales staff to pickup at the airport, it was very evident that LTL is a streamlined organization that specializes in optimizing a student’s (and family’s) experience in China. So in a nutshell, how was your family trip to China? Based on our experience, LTL has proven to be a very professional organization that provided a quality China experience to its students. As parents, the strongest testimony of the school’s success has been through our daughters’ begging to “come back again next summer.” If we find ourselves with the opportunity to return to China, we would most definitely be willing to come to LTL again for our language needs.